Dalí/ Duchamp is the first exhibition to present the art of two of the twentieth century’s most famous artists in exclusive dialogue. 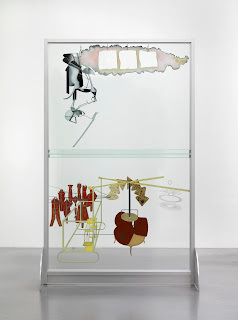 Marcel Duchamp (1887–1968) and Salvador Dalí (1904–1989) are usually seen as opposites in almost every respect, yet they shared attitudes to art and life that are manifested in their respective oeuvres on many levels. Taking their friendship as its starting point, the exhibition will demonstrate the aesthetic, philosophical and personal links between them. Over 80 paintings, sculptures, ‘readymades’, photographs, drawings, films and archival material will bring to life the myriad of connections between the works of these two very different creative and intelligent minds. Dalí/ Duchamp will be located in Galleries 1, 2 and the Weston Rooms in Burlington House and will include loans from public institutions and private collections across Europe and the US. Duchamp and Dalí met in the early 1930s through mutual contacts in the Surrealist group. Their friendship was consolidated in 1933 when Duchamp made his first visit to the fishing village of Cadaqués, just a short walk from Dalí’s home in Portlligat. From the late 1950s Duchamp rented a house there each summer, and the two artists remained close until Duchamp’s death in 1968. At first glance, they seem like opposites, Dalí was the self-professed genius and notorious Surrealist showman whereas Duchamp was a quieter character. Despite their differences, they recognised each other as a fellow traveller, both profoundly committed to individual freedom. They shared a number of core artistic interests such as optics and language, they were pioneers in the use of found objects and admired and publicly supported one another’s work. Fundamentally, the two men were united by a shared humour and scepticism which led them to challenge conventional views of art and life. 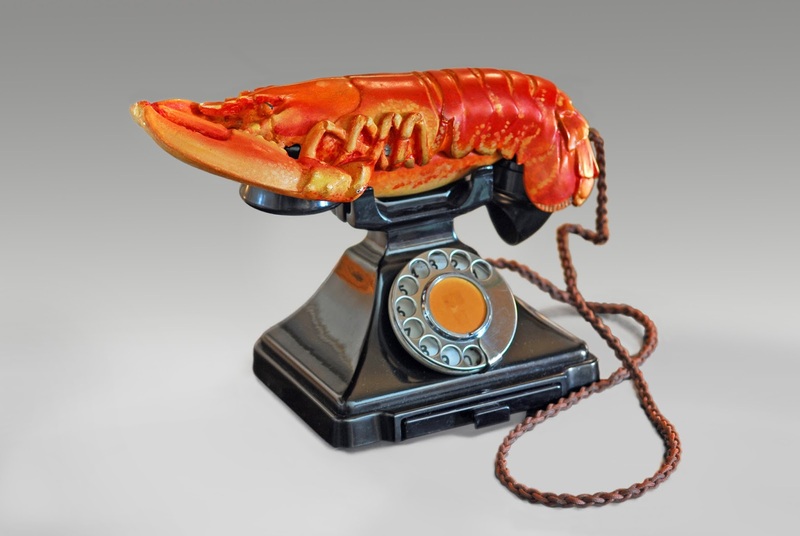 Dalí/ Duchamp will be organised in three main thematic sections focusing on specific points of contact between the artists and capturing the energy and spirit of their friendship and artistic exchange. Identities will explore Duchamp and Dalí as personalities and artistic identities. While Duchamp was 17 years Dalí’s senior, as young artists both followed similar trajectories, initially experimenting with the artistic movements of their day: Impressionism, Fauvism, Cubism and Futurism. It was as a painter that Duchamp came to public attention, however he was to categorically reject the medium, making his last oil painting on canvas in 1918. This section will show the diversity of the canvases painted by both artists, and reveal photographs that examine a conscious play with their public personae and a shared desire to question the role of the artist. 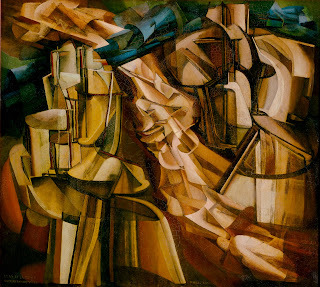 Highlights of this section will include Duchamp’s The King and Queen Surrounded by Swift Nudes, 1912 (Philadelphia Museum of Art) one of his many works that draws upon the iconography of chess, and Dalí’s The First Days of Spring, 1929 (The Dalí Museum, St Petersburg, Florida). The Body and the Object will bring together works by both artists that focus on the theme of eroticism, treated in both figurative and abstracted paintings, drawings and sculptures. Many of these works explore the terrain between art and life activated by each artist’s use of found objects. 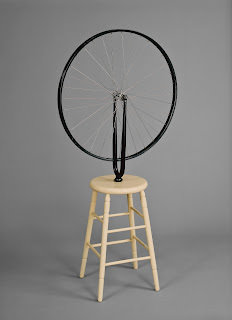 This is particularly evident in Duchamp’s ‘readymades’ which, in this context, take on bodily connotations including Bicycle Wheel, 1913/1964 (National Gallery of Canada, Ottawa) and the iconic Fountain, 1917/1964 (National Gallery of Modern and Contemporary Art, Rome) as well as Dalí’s Lobster Telephone, 1938 (West Dean College, West Sussex). 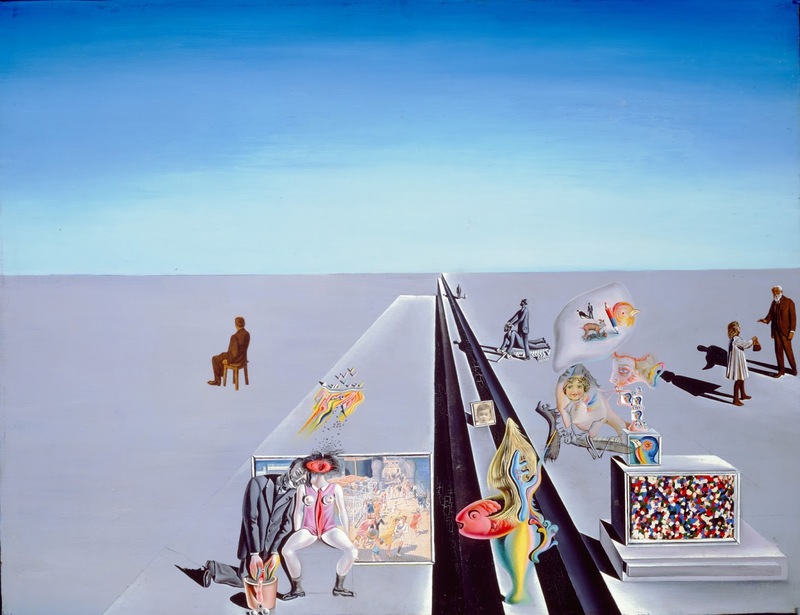 The final section, Experimenting with Reality will show how Dalí and Duchamp responded to new ideas about time and space, energy, matter and gravity, quantum theory and atomic physics. Duchamp’s dislike of the purely ‘retinal’ in painting was paradoxically paired with his interest in optical effects, which equally captivated Dalí. Both artists made works that explore a shared fascination with perspective and illusion. 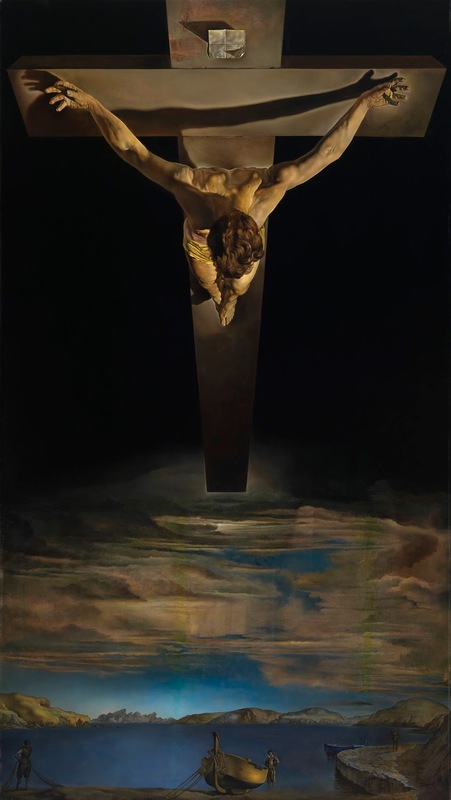 Highlights of this section will include Dalí’s major work Christ of Saint John of the Cross, c. 1951 (Kelvingrove Art Gallery and Museum, Glasgow) and Apparition of Face and Fruit Dish on a Beach, 1938 (Wadsworth Atheneum Museum of Art, Hartford, Connecticut) as well as Duchamp’s The Bride Stripped Bare by Her Bachelors, Even (The Large Glass), 1915 (reconstruction by Richard Hamilton 1965-6/1985, Tate, London). The exhibition is curated by independent art historian Professor Dawn Ades CBE, Dr William Jeffett, Chief Curator, Exhibitions at The Dalí Museum, St Petersburg, Florida and Sarah Lea, Curator, Royal Academy of Arts. Dalí/ Duchamp has been organised by the Royal Academy of Arts, London, and The Dalí Museum, St Petersburg, Florida, in collaboration with the Gala-Salvador Dalí Foundation and the Association Marcel Duchamp. 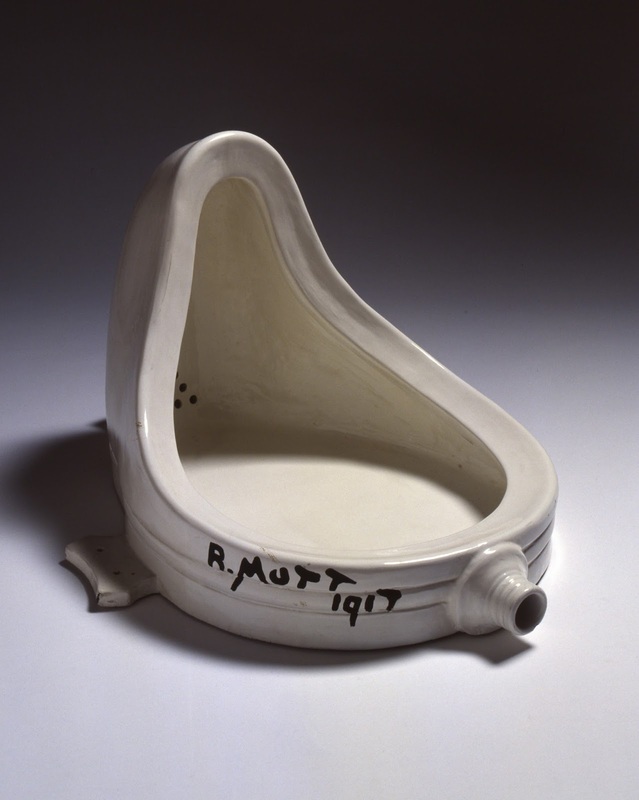 Marcel Duchamp, Fountain, 1917 (replica 1964). Porcelain, 36 x 48 x 61 cm. Rome, National Gallery of Modern and Contemporary Art. Photography: © Schiavinotto Giuseppe / © Succession Marcel Duchamp/ADAGP, Paris and DACS, London 2017.